As lead developer and a product manager, I created the first E-commerce platform to manage and sell recruitment classified listings which generated millions in revenue for my employer and billions for the clients. Over the years I have created hundreds of new online products and while the methodology of product creation has evolved from waterfall to agile, the concept has been consistent: identify the need, determine the cost benefit, create a plan, and execute..
Teamwork is essential for successful product development and I have had the fortune to work with some of the best teams in SaaS software, from developers to clients, we have created some phenomenal products. Below are highlights of what I helped to build and some of the key processes used to achieve those goals. While working with the New York Times (as an account manager for recruitment classifieds) they approached me and asked if we could help them out with their motors vertical. Their existing vendor had given six months notice and would no longer be supporting newspapers. The company I was at had a lot of expertise in recruitment classifieds search, it was up to me to convert that knowledge into a new vertical - motors. Working with the CEO and The New York Times we created an initial product scope, agreed to terms and then went on the most aggressive build project I have ever done. I led a team of developers to build a world class motors platform for The New York Times in a period of three months, and we launched two weeks early because the existing vendor had a lapse in service over the Thanksgiving Holiday. 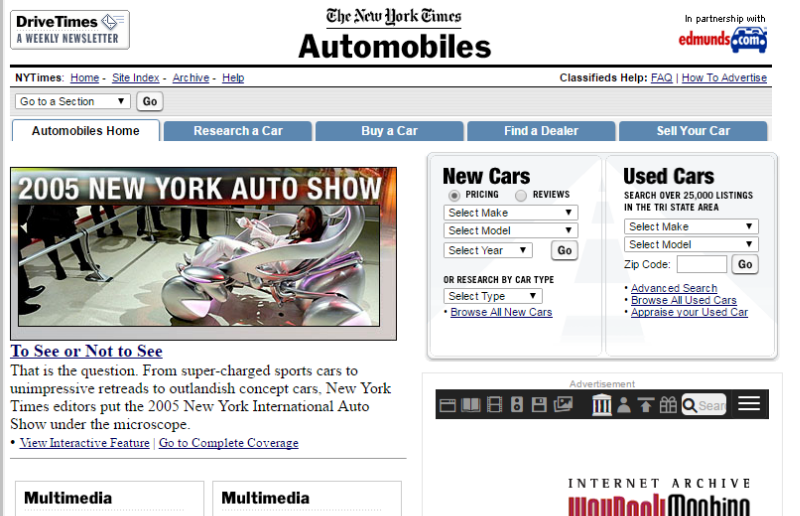 The product launched with more than 100 automotive dealer feeds; a lead management and reporting system; NYTimes reviews integrated with Edmund's; a new e-commerce posting system; reverse publication from online to print; dealer search and sponsorship; browse by make and many more features. This new product line also offered my employer an alternative revenue source during the economic downturn starting in 2008. Here's what The New York Times has to say about me on LinkedIn: Joy is simply amazing. She totally "gets it". She is a great product talent with both technical and business skills. When the second client approached our CEO to build a Real Estate Search I decided to take action to prove it could be done. [At the time we only had recruitment classifieds]. To show the CEO and the client that we could provide a real estate search I built a prototype over the weekend and pitched it to both the client and the CEO. The project was accepted and we moved forward, creating a new product line and launching on The Wall Street Journal's Real Estate Journal. Creating a new product line involved branching code and creating a new division in the company to develop and support the new line. This set the foundation for future expansion (see Motors above) for the company. By adding more verticals the company became known in the market as one of the few vendors that could provide a complete turnkey solution. Without this initial endeavor into Real Estate, the company would not have branched out of recruitment. The Real Estate vertical imported RETS feeds, broker feeds, foreclosure feeds and displayed hundreds of thousands of listings. 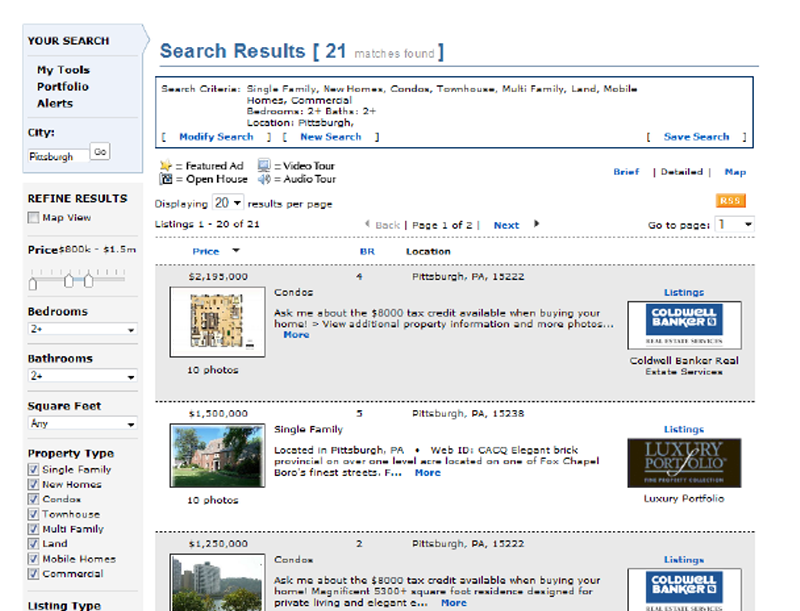 It had separate search for new homes, resale homes, rentals and the ability to future segment markets. It also had lead generation and reports for sales to show the value, tracking every click on the site to report back to the advertisers. Solving client problems often leads to new products, such was the case with social media distribution. We had clients asking for "SMO" and at the time we had no social media distribution solution. SMO, Social Media Optimization, is a solution that promotes classifieds to social media sites like twitter and facebook. Not only was there a need for this solution to reach an ever growing audience of social media users, there was a revenue opportunity as well. I defined the product and identified the support resources required to create and maintain the new product line. The presentation included an ROI of less than 12 months and was accepted by the executive management team. The proposal was accepted and I staffed the department and built the upsell in less than two months. This product became the fastest growing new product line within the first 12 months, filling a need for advertisers, clients and the company. With the advent of SaaS, making changes quickly has been a requirement for survival. For the past twenty years, I have been working in RAD (rapid application development) and Agile. The tools change over time, but the concepts remain. 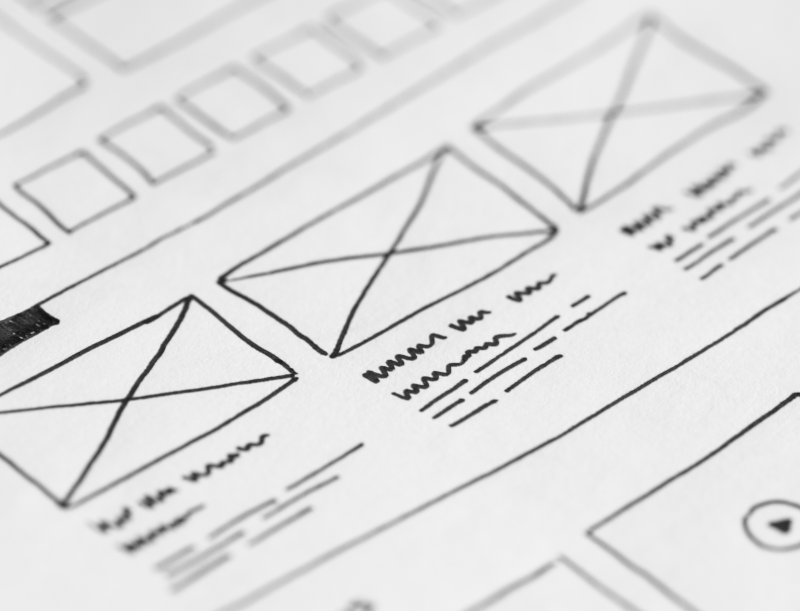 To create a new product, a vision must be stated and the revenue opportunity identified. This allows the development to be prioritized and creates the foundation for the iterative development process. No development is complete without final QA approval and the only way to measure success is in the product roll out and adoption. I have used many of the core Agile concepts in other areas of business, implementing daily stand-ups with support and the executive management team. These stand-ups significantly improved communications and removed many roadblocks, increasing customer response time and shortening sales cycles.